When too much time is spent on the computer and other important aspects of life are being ignored, my low-tech computer screen blockers are automatically activated. They are highly effective! If I attempt to remove them from my desktop and continue working, they will pop back up into position in a matter of seconds. Because there is absolutely no way to ignore or see around them, I am left with no choice but to leave my desk and go do something else. These low-tech computer screen blockers are also extremely energy efficient. Although they need a little food and a litter box, they do not need to be plugged in or turned on. Without any assistance, they are ready to jump into action whenever and wherever they decide a computer intervention is necessary. With one of the more advanced models that can switch from blocker to shredder, paper will also be periodically yanked out of the printer and destroyed (or carried away). And then, the old excuse that “something ate my homework” actually becomes the truth! 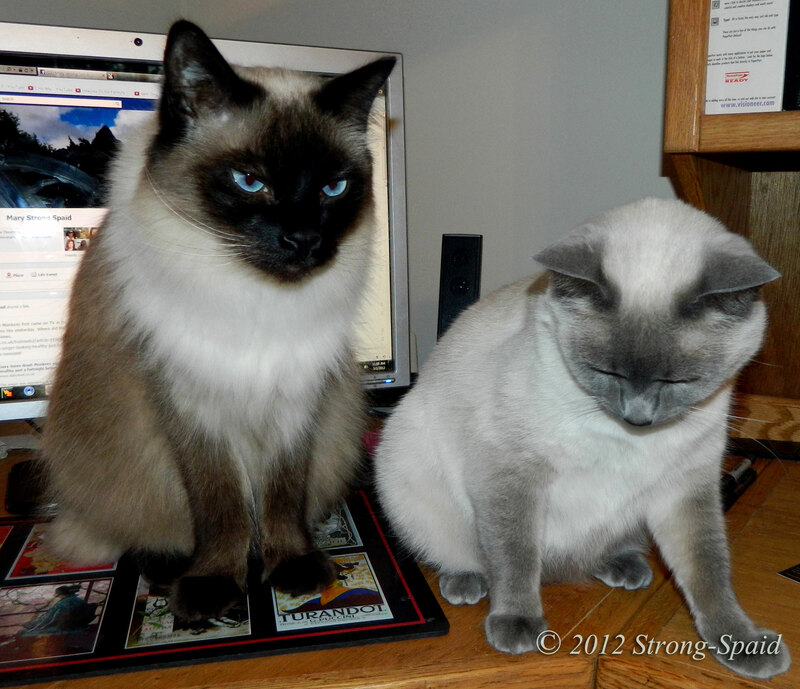 So….if you have the feeling that you are spending an excessive amount of time on your computer, one of these awesome Siamese cat screen blockers/office assistants might be able to help you break away. Unlike the computer, they are very loving and they purr. 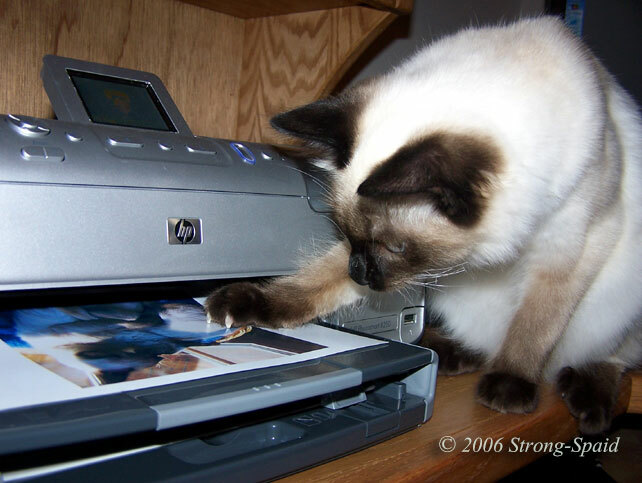 This entry was posted in cats, Humor, Pets, photography, Technology and tagged computer screen blockers, Siamese cat. Bookmark the permalink. Thanks Arjun. I typed this story looking through cat fur. That’s what makes them so interesting. You have to earn their affection. Indeed, its a game of cat and mouse, however, why am I always the mouse? i need one of these….! 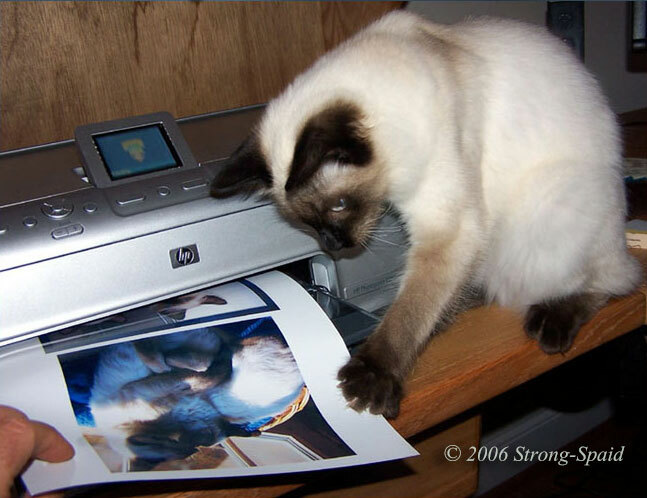 Actually, there are a lot Siamese cats that need people too. I have no clue why people would abandon such beautiful, intelligent cats, but they do. My mixed-Siamese cat has a rule — I can’t work at the computer without her helping me. They are beautiful! I would be glad to share some computer time with them! Umm…no. My low-tech computer screen blockers don’t like to travel. They are always afraid someone is going to take them to the Vet. Supercool 🙂 my doggy furbys are equally as proactive when they feel they’ve been ignored for too long. Just noticed this was in the wrong reply box! Ah yes! There is nothing better than a real book, and the sound of pages turning as the story unfolds. My grandson and I wrote a short story together while I was visiting this year (see post “Revolt of the Green World”). It was so much fun. I just printed it out on paper and made a little book out of it—to send on to him for Christmas. Thanks! I enjoy reading your writing….it’s very thoughtful. I love cats also. Independent and loving (if you earn their trust). it gets better each day…right?? There is too much technology, yes. Obviously, I can’t keep up with it. You posted this comment on December 17 and I am replying on August 22. Time has flown by me on illusory wings, I think. Dogs want undivided attention as much as cats do. And people crave a little attention too. Sometimes the computer should be shut down. Hair everywhere. That’s true. I forgot about that part! This made me smile a lot! 😀 Beautiful cats! And I think I could do with some of these, to keep me away from the mesmerizing screen!! BTW, the photos on your website are beautiful! Thanks. Yours too and together with the stories you wrote, they are really great. The little bluepoint girl would be honored that you called her an office assistant. But the male…ummm….look at his intense eyes. Likes to have things his way. He is most definitely a manager. A couple of beautiful felines if ever I saw one. I have one of those feline security devices too – ASH Diluted Tortie variety. She also assists as a paper weight, empties the trash can (on the floor), turns the printer on for me, and watches the curson bounce around the screen. Wonderful little creatures, aren’t they? Aha…yes!! Congratulations! It sounds like you have a special edition deluxe model. In addtion to everything else, she probably unravels toilet paper rolls too? Yes, they are fun to have around! Haha… Mr. Bowie also loves to sit in front of my monitor. So funny!